In 2017 she graduated from the magistracy of Karaganda State University named after academician E.A. Buketov specialty “Technical Physics”. 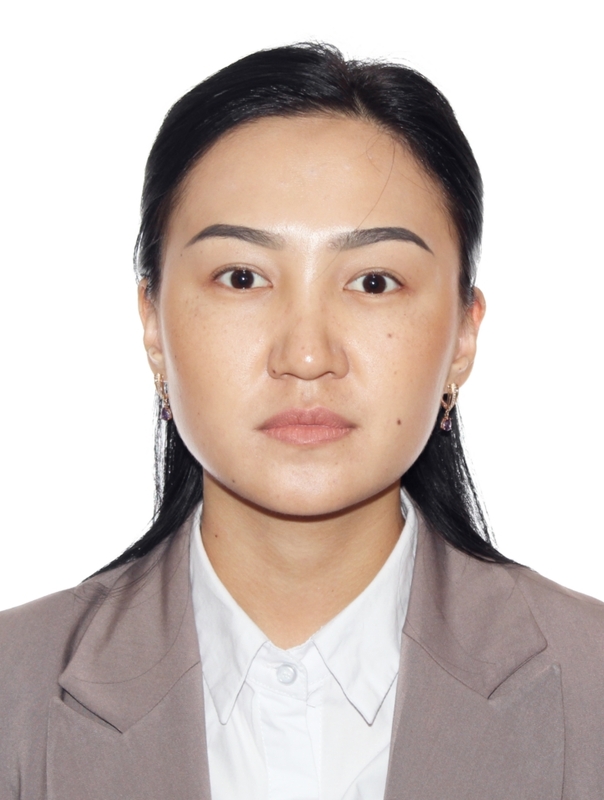 Theme of master’s thesis: “Technical inspection of engineering communications of the city of Zhezkazgan.” After graduating with honors from the Faculty of Physics and Technology of KSU in 2017, she received an academic degree: Master of Technical Sciences. Since September 2017 she has been working as a teacher at the Department of Physics of the Karaganda State Technical University. The main scientific work: “Technical inspection of water supply systems of the city of Satpayev”, the natural science journal “Exact science”. – Kemerevo 2017 – pp. 19-24;”Hydraulic calculation of water supply”, International Conference “Naukowamyslinbformacyjneypowieki – 2017″ – p. 61-64 .; “Satpayev Kalasyn Sumen Kamtamyasyz etu zhyyesіn techniki sertteu”, Collection of scientific works – Karaganda: Publishing house of KarSU, 2017 – p. 161-167.